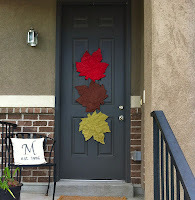 I LOVE this September door from Soul and Company. Those leaves are lovely. Thanks for hosting, Shannon. (I love the button btw) Happy to be linked up here again! Thank you for hosting so fun party.I'm glad it's my first time here! I love your interesting blog.I´m your newest follower.I hope you will come back visiting my blog and maybe even follow me back. Thanks for linking up. I am your newest follower and I LOVE your notebook covers. 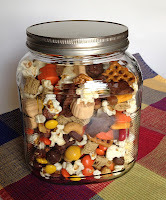 Shannon, I was thrilled to return from vacation and realize you had featured my Gobble Gobble Snack Mix! Thanks so much!! !